Surprisingly enough, vice president of Karen National Union (KNU) Kwe Htoo Win, who has signed the first Pyidaungsu (Union) Accord agreement at the closing of Second Session 21st Century Panglong Conference, now officially named Union Peace Conference - 21st Century Panglong (UPC-21CP), on behalf of the 8 signatory Ethnic Armed Organizations (EAOs) on May 29, complained when explaining its statement on June 26, in the aftermath of its evaluation workshop at KNU headquarters on the whole peace process from June 12 to 23. The statement explicitly urged that the place where political negotiation and political settlement should be conducted and iron out should be as originally accepted the UPDJC Working Committees and UPC-21CP, with enough time for political discussions, vested with equality and technical help. In the same vein, the Restoration Council of Shan State (RCSS), which earlier has had a row with the Tatmadaw for not allowing it to conduct Shan National Conference on its choice of either in Taunggyi or Panglong, made it clear that it wouldn't hold the conference where the Tatmadaw would like it to do, as it was not an appropriate location, located in the remote places, to hold such a massive gathering, also issued a statement on it's position regarding the first Union Accord agreement. 6. As the Second Session UPC – 21CP Union Accord that is taken as part of the agreement didn't fully represent the people, political parties and all the EAOs, it is considered that it cannot be fully official. 3. To make decision in all UPC – 21CP only after thorough discussions and comprehensive agreement. The political parties meeting of June 15 also echoed the same sentiment as the 2 EAO signatories. Many party leaders were unhappy about both the process and outcome of the UPC - 21CP held in Nay Pyi Taw from May 24 to 29. The principles of Union Accord were supposed to be put to a vote, but at the last minute it was announced they would instead be passed by consensus, which was then actually followed. If one looks at the following guidelines from FPD on how the Union Accord should be promulgated, it could be seen that it was not taken in accordance with the procedure. "To negotiate and decide in good faith any issues that may arise between and among the dialogue partners in order to achieve lasting and sustainable peace, the following will be undertaken in accordance with paragraph 1 subparagraph (h) of the Nationwide Ceasefire Agreement. 6.1. All matters shall be resolutely discussed at the Working Committee level. 6.2. Important matters submitted to the Union Peace Conference by the Working Committees including those related to the establishment of a Union based on federal principles, national security, and security reintegration must be approved by at least 75 percent of the attendees from each group, and by at least 75 percent of all the attendees. 6.3. Except for the matters of subparagraph 6.2, all other matters submitted to the Union Peace Conference by the Working Committees must be approved by at least 50 percent of the attendees from each group, and by at least 65 percent of all the attendees." However, the commonly accepted norm is an all-inclusive participation of all the EAOs. Mutu Say Poe leader of the KNU and also N'Ban La the Kacin Independence Organization (KIO) vice president were of the same opinion that all-inclusiveness is the key to resolve the conflict; so do the state counselor Aung San Suu Kyi. The only odd man out is the Military or Tatmadaw, which has been demanding the exclusion of the 3 EAOs from Northern Alliance – Burma (NA-B) or imposing a surrender-like demand on them. Meanwhile, sensing that the government needs to engage the Panghsang alliance or Federal Political Negotiation Consultative Committee (FPNCC) either out of its own initiative or pressure, to end the ethnic armed conflict along the common border and beyond, from the big regional power that it could ill afford to ignore, contacted the alliance. The Ta'ang National Liberation Army (TNLA) spokesman and Brigadier General, Ta Bone Kyaw said in an interview on June 25 with the RFA that the government-Tatmadaw side is stuck in its self-imposed condition and make the meeting with FPNCC implausible. Ta Bone Kyaw said in the aftermath of the UPC - 21CP, the offensive escalated in Kachin ans Shan States, which indicated that the Tatmadaw didn't really want peace. The dissatisfaction of the two die-hard EAOs (KNU and RCSS) of the 8 NCA signatories on how the UPC - 21CP promulgated the first Union Accord doesn't bode well for the National League for Democracy (NLD) government and also put a reasonable amount of pressure to correct its way of doing things, in the forthcoming next round of UPC within six months. Apart from that, the political parties were also of the same opinion that the hastily conducted UPC would only bring more confusion than positive results. Their main argument was also that the first Union Accord agreement was pulled through without voting process as is prescribed by the FPD and has it sailed through with only consensus from the UPDJC Working Committees, rather than the UPC participants' 50% vote, according to the procedure. Regarding the fulfillment of all-inclusiveness, the government needs a more proactive attitude and flexibility with broad-mindedness. It won't do to stick to its separately talking to the Panghsang alliance members. The government-Tatmadaw would need to go the extra mile if it is really keen to achieve results. Meanwhile, the United Nationalities Federal Council (UNFC) is trying hard to stay in existence and at the same time resisting the government political onslaught in order not to fall prey of giving in its principle bargaining position spelled out in its 9-point proposal to amend the NCA. Taking into account of what have recently happened, all the stakeholders under the FPNCC banner and the government-Tatmadaw couldn't still agree on the method or mode of meeting each other, needless to say of the differing political aspirations and postures. 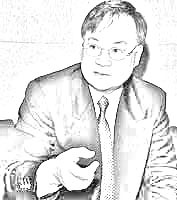 In sum, the NCA signatory EAOs and political parties dissatisfaction over the government-Military's performance regarding the peace process; the UNFC distrust of the government's intention to take advantage of its weakening position in relation to the signing of the NCA; and the government's insistence not to recognize and meet the Panghsang alliance as a group are not conducive to the ongoing peace process. And on top of all these, the Tatmadaw is making things more difficult by heightening its offensives in Kachin and Shan States. Given such unfavorable development, pessimism naturally is in the air rather than the preferred optimistic outlook that everyone has been hoping for.